Oh, but they are wonderful little gadgets! I have used them for quite a few things in the past and since I have been carrying several around with me the last couple months they have come to be very useful. What I love is that they are beautiful and heavy duty clothespins. 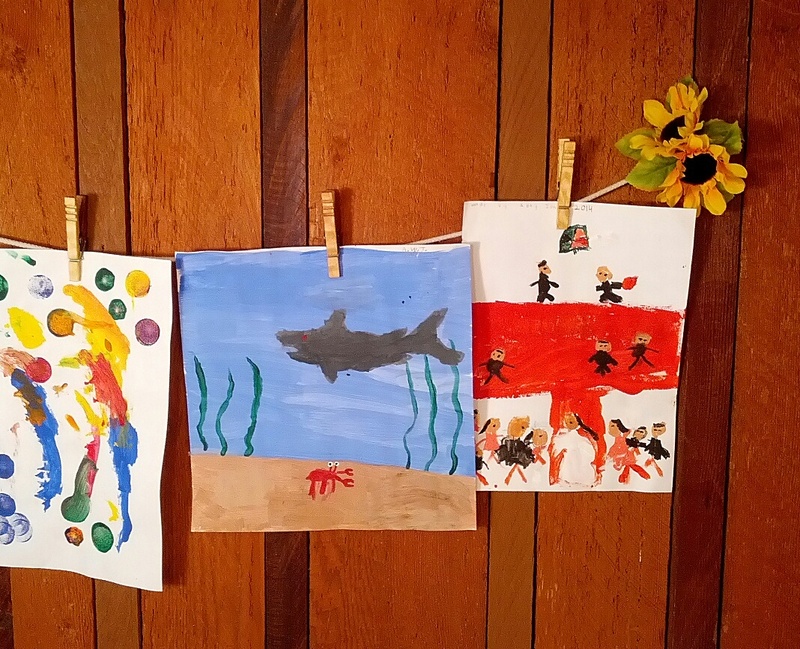 Many clothespin projects you find have fabric or paper Mod Podged on the pin or they painting them first. I understand that, the box store clothespin is not attractive. Our pins are beautiful already and don’t need the added treatment. Want to visit our store? Click here. 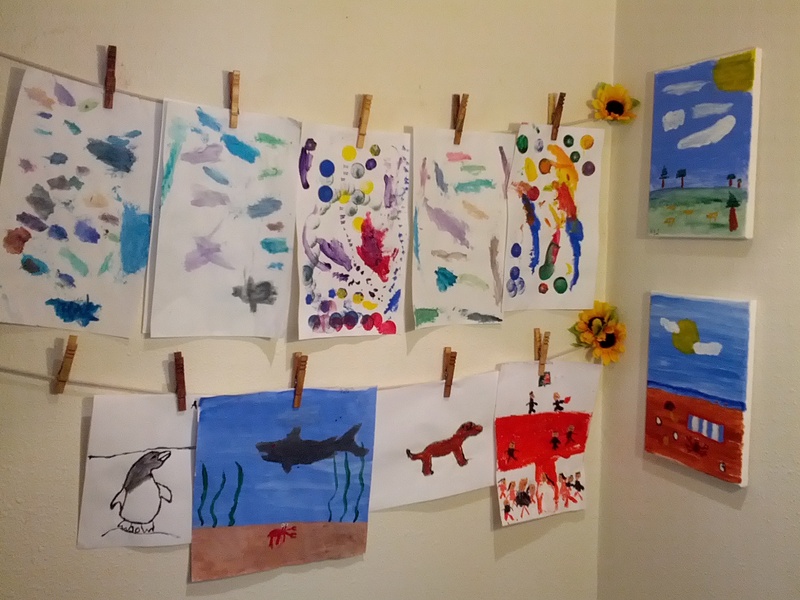 1) Of course, My favorite use for our clothespins is for line drying. When we started to line dry we quickly learned that the cheapy pins you get in the store just make the job frustrating. 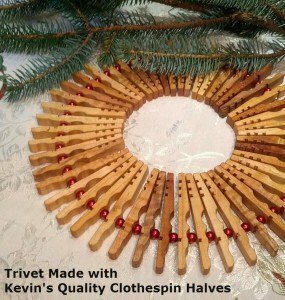 Kevin’s Quality Clothespins hold up to wind and weight check out our Testing and the Review Page featuring many others who have tested them out for themselves. Go here to see how I built it. 5) Keep Pairs of gloves together. For storage you could clip to a pants hanger with multiple tiers. Many design possibilities. Love mine. Set it up so it is not connected on ends or stiff and I can make it whatever shape I want. 9) Name/Place Cards or Business Card holder. I think these would look so wonderful for place cards in a rustic wedding. Yeah! No more banged up fingers! Okay… As crazy as this may sound to some.. This is one of my favorite uses. This may not be a big deal in some families but being a mother of preschoolers the towel is ALWAYS on the ground. This works great! The preschooler can wipe her hands and our clips are strong enough that they keep the towel on the holder. Keeps them off the counter and visible. my little girls hair and cam up with this solution. You can make this simple storage by simply gluing two clothespins together. Need to glue and secure that craft project or those objects during gluing? 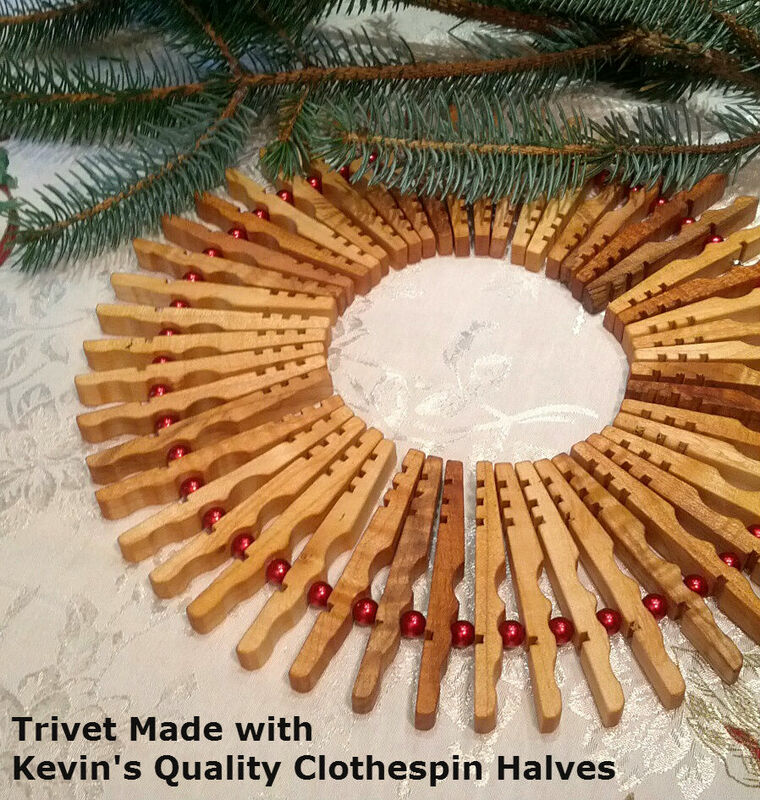 Kevin’s Quality Clothespins have a strong spring and will hold a secure grip. We were on a long car trip at the beginning of this month. Our van was packed to it’s maximum capacity so my purse had to go by my feet. The strap was bugging me by hitting my ankles so WA LA Clothespin to the rescue. My preschooler and my older kids love playing with the clothespins. I also took them on the road in a container with pompoms. It occupied my toddler for a good stretch of road. This is a Crystal Light container with a hole cut in the top. The painters tape protects little fingers. Missed getting a picture of this…. One of The Carpenter’s Grandmothers LOVES clothespins and she doesn’t even own a clothesline. She has an outdoor table and because she lives in a windy area she has to secure her table cloth on with clips. My next clothespin craft project is going to be to hang some of our clothespins on either a nice board or just on the inside of my bathroom cabinet to hang my necklaces. 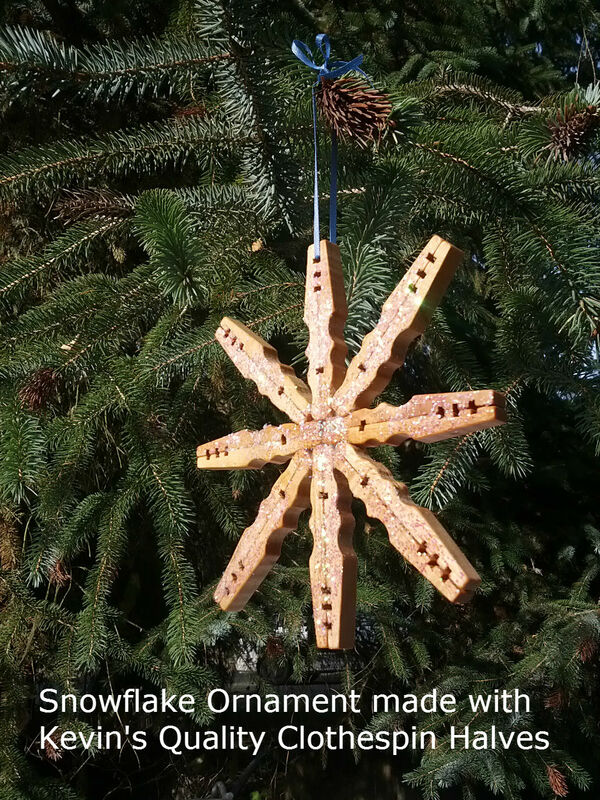 This is going to be one of my clothespin craft projects. I am going to secure about 5 clips to a nice board and have it near the door to hold keys or notes we need to keep track of for taking with us that day. Because they are a heavy duty clothespin they are strong enough to hold up my heavy key chains. maybe a Monday through Friday set of Pins. I am going to have a Christmas themed top hanger (maybe wood stenciled with Merry Christmas…) with a pretty Christmas ribbon hanging and our Clothespins available to secure Christmas Cards we receive. Not that I recommend this. The box store clothespins I can put on my finger without any pain. How do you use clothespins? Do you have a use we should add to the list? Soak them in water overnight, add drops of fragrant essential oils, and then clip them on a fan, or the vent in your car…as they evaporate, the oils release the fragrance! I LOVE to use my clothesline, and living in San Antonio I use it all year round, so finding a quality clothespin is top on my list of simple pleasures. I have purchased Ikea and World Market pins and they just don’t last. I can’t wait to get your hand made clothespins. Happy Thanksgiving to you and your family. I sew large blankets for a Greyhound Adoption Center and use the clothespins to hold the two to three pieces of thick fabric together while sewing the seam. This works much better than pins and I can’t accidentally leave a pin in the finished blanket!